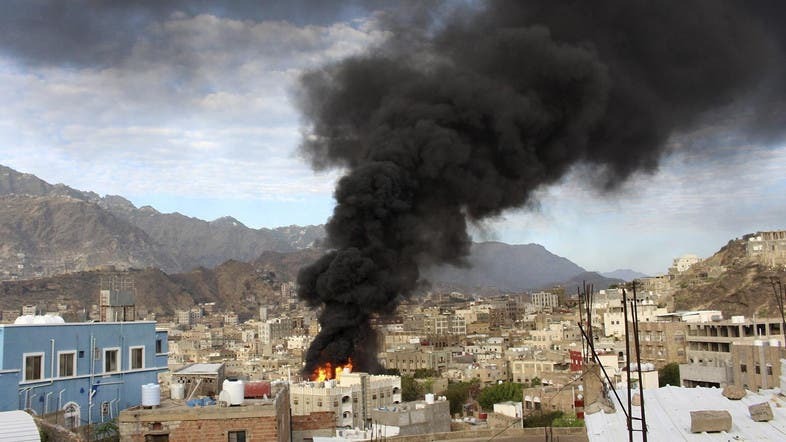 Nineteen air strikes launched by Saudi-led coalition forces in Yemen killed at least 20 Houthi militias and rebels affiliated with ousted President Ali Abdullah Saleh and injured around 3o more. The coalition’s airstrikes targeted Khaled bin al-Walid camp in Mawza and in Maqbanah in west Taiz and destroyed a weapons storage facility, three vehicles and one armored vehicle. Meanwhile, legitimate forces in Yemen achieved some military gains in Mawza as they continue to besiege Khaled bin al-Walid camp for a month now and prepare to retake it from the militias. Six Houthis were also killed and several others were injured in Yemeni army shelling on the al-Waash mountain, northwest of Taiz. A Yemeni military source had said that national army forces attacked militias’ posts in the western outskirts of Khaled bin al-Walid camp and in the Mokha junction and killed at least 10 rebels.